Aquinas and St. Mary’s wants everyone the opportunity to experience a Catholic Education. The Lincoln Diocese’s policy is that no family will be turned away due to inability to pay. There are a couple options to help tuition payments. FACTS is an online tuition management program that helps faith-based schools offer the best payment plan solutions. There are different options that allow flexibility in scheduling tuition payments. Aquinas & St. Mary’s require FACTS for tuition payments. Here are some FAQs about FACTS. The Diocese of Lincoln formed The Good Shepard Scholarship to support low-income students and families in need of financial assistance to attend diocesan Catholic schools. 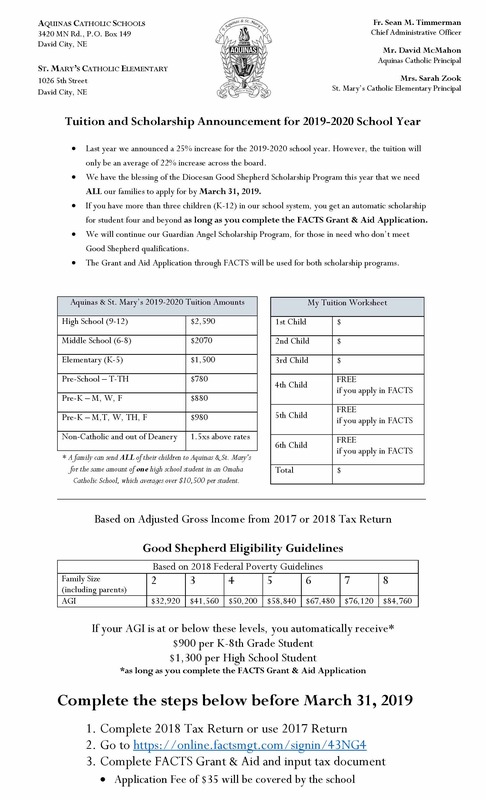 Here are some FAQs about The Good Shepard Scholarship. Applications need to be filled out through the FACTS Management System. 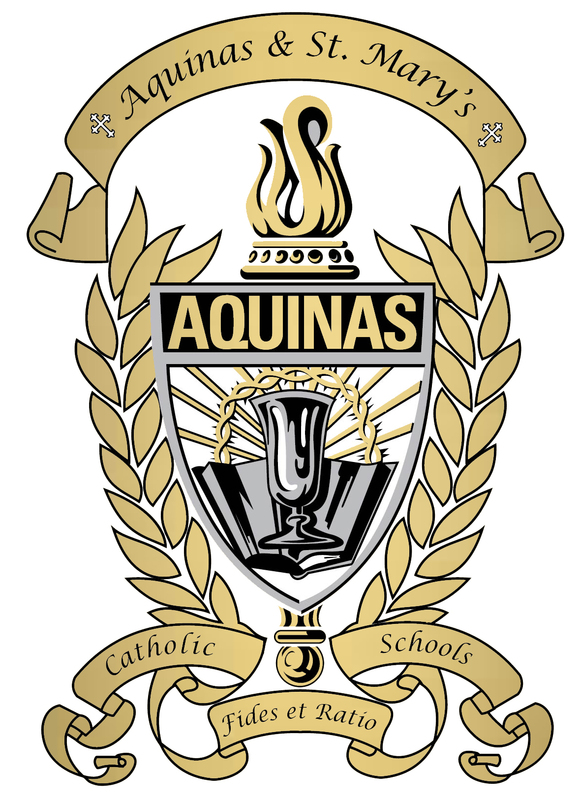 This Aquinas & St. Mary’s Scholarship is funded by many generous benefactors, who make tuition affordable for all interested in a Catholic education. All information is confidential.